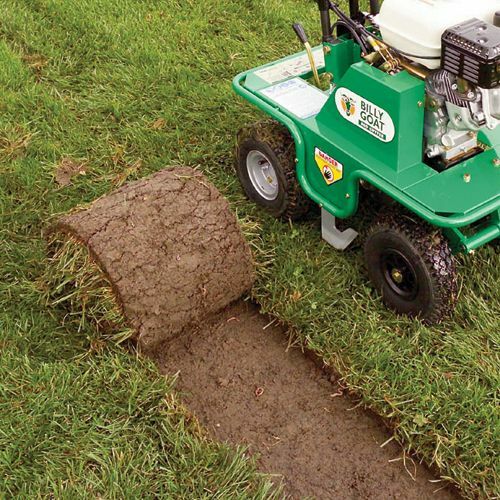 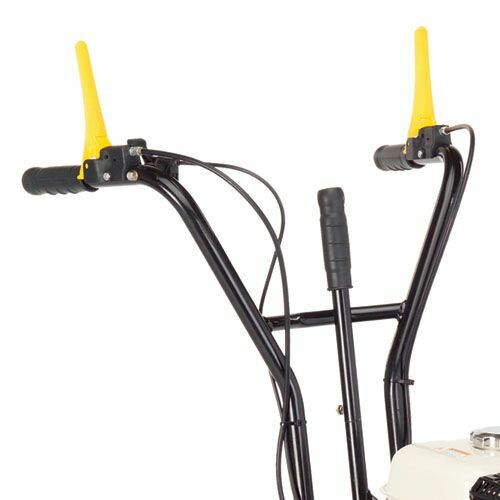 There’s simply no sod cutter that’s easier to use. 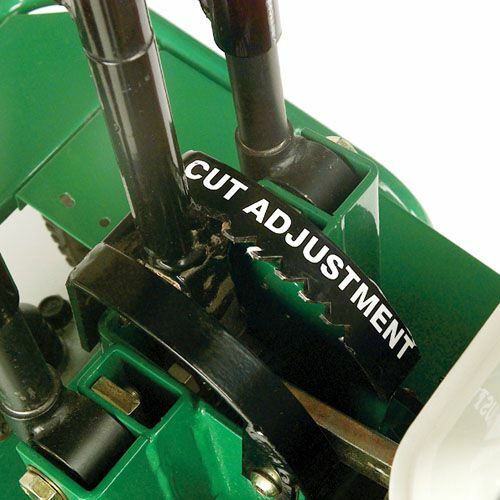 Just set the depth, shift into gear, engage the blade, start the drive and you’re off! 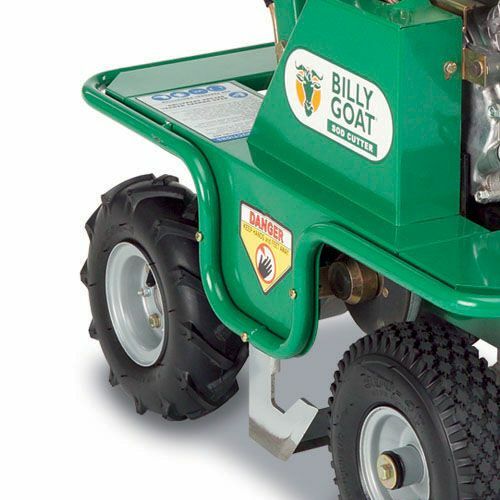 And the SC121H BillyGoat Sod Cutter weighs only 161 pounds – that’s half the weight of other models on the market. 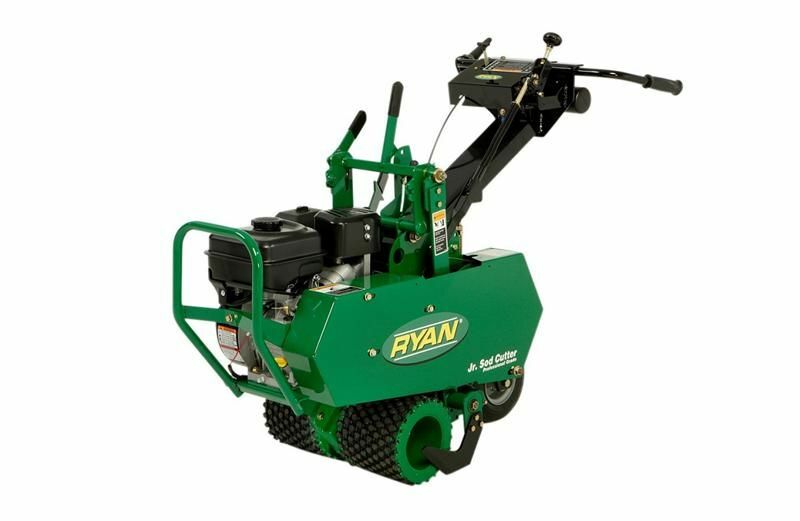 This rugged compact machine makes cuts 12” wide and up to 1.38” deep. 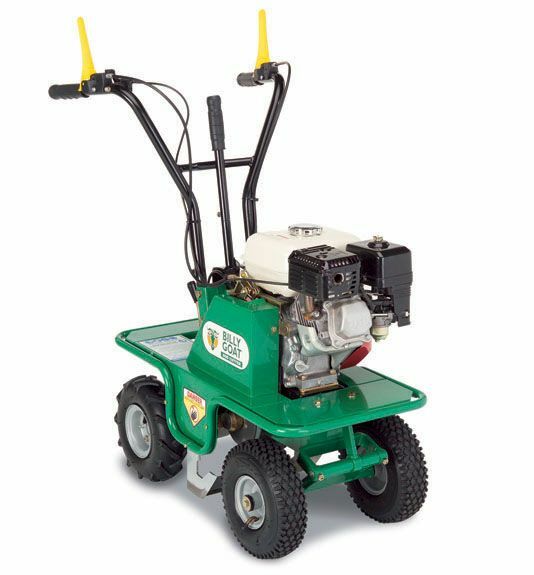 The small frame and light weight make maneuvering easy, even in tight spaces. 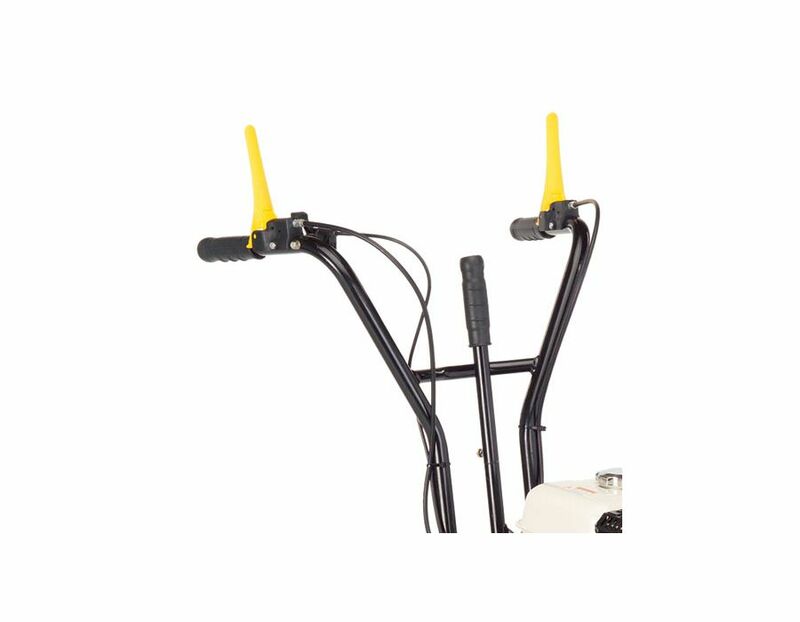 Special rubber pads and isolation mounts reduce vibration to exceptionally low levels. 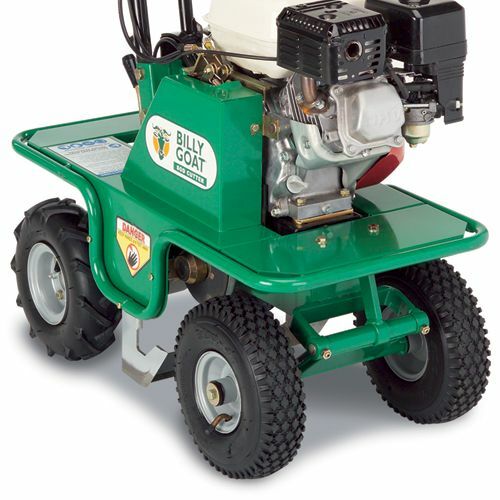 Note: Prior to using this machine, make sure to soften the turf by watering. 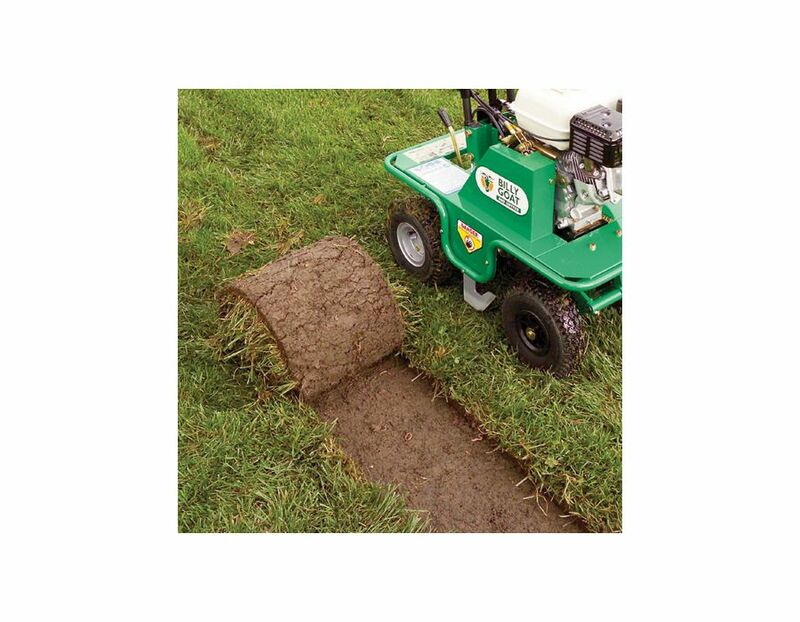 A good ‘Rule of Thumb’ is, prior to cutting, insert your thumb into the watered sod to the first knuckle to ensure the ground is soft. 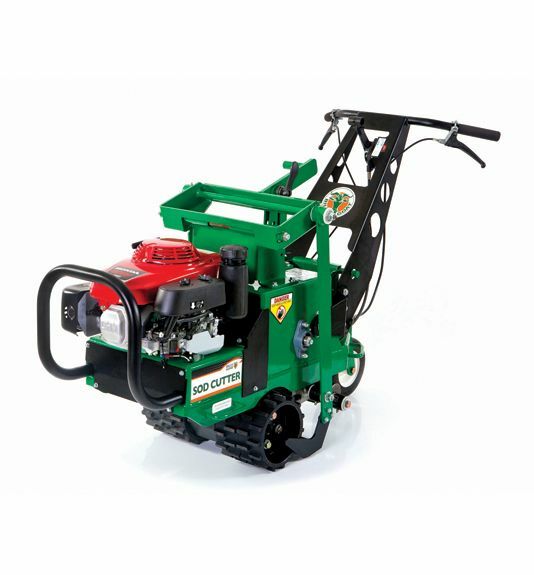 Cutting into hard, dry ground can cause damage to the machine. 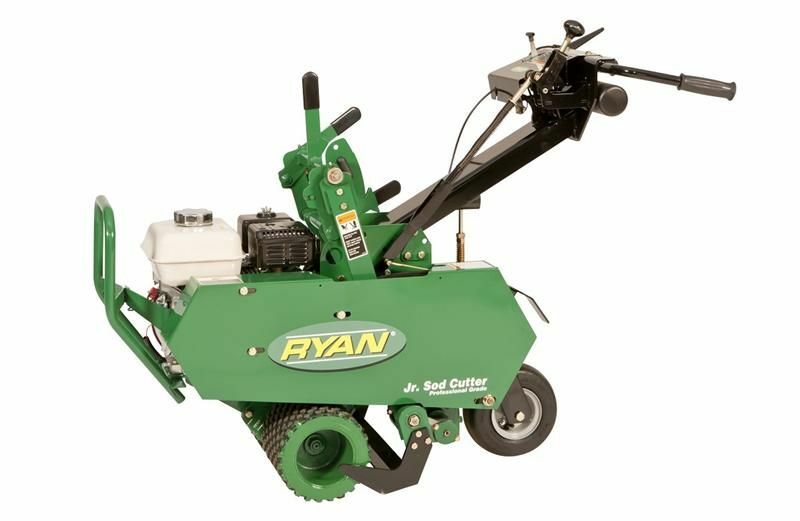 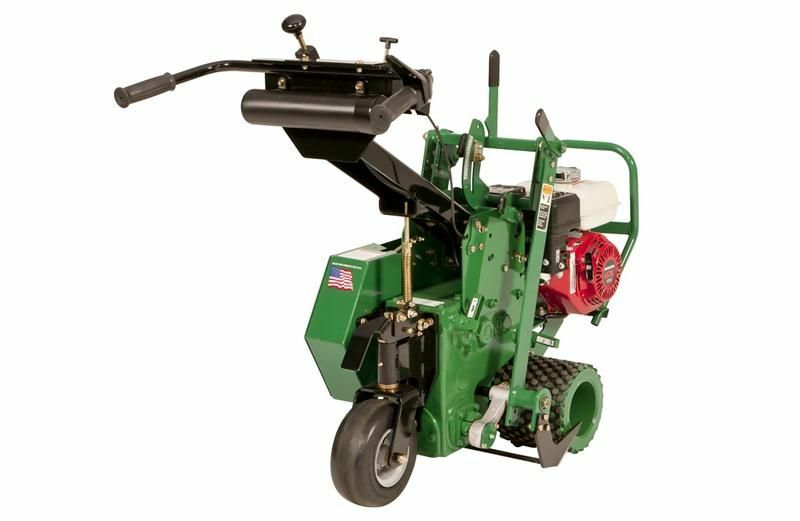 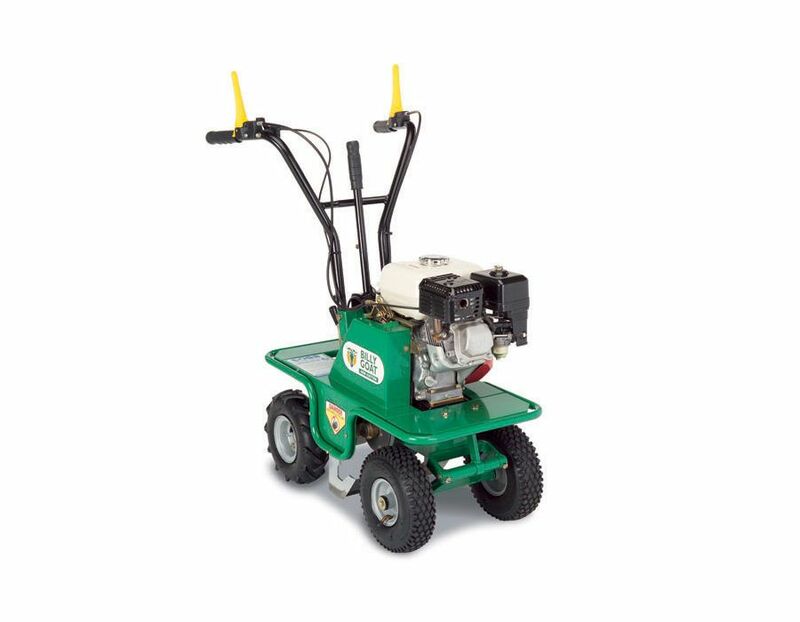 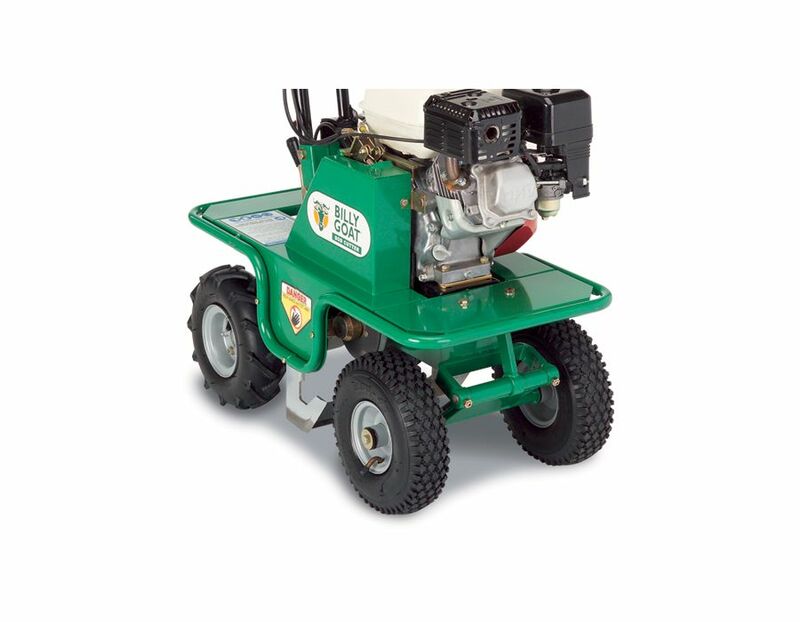 Cuts Sod Cleanly and Evenly - 12” cutting width and up to 1.38” deep. 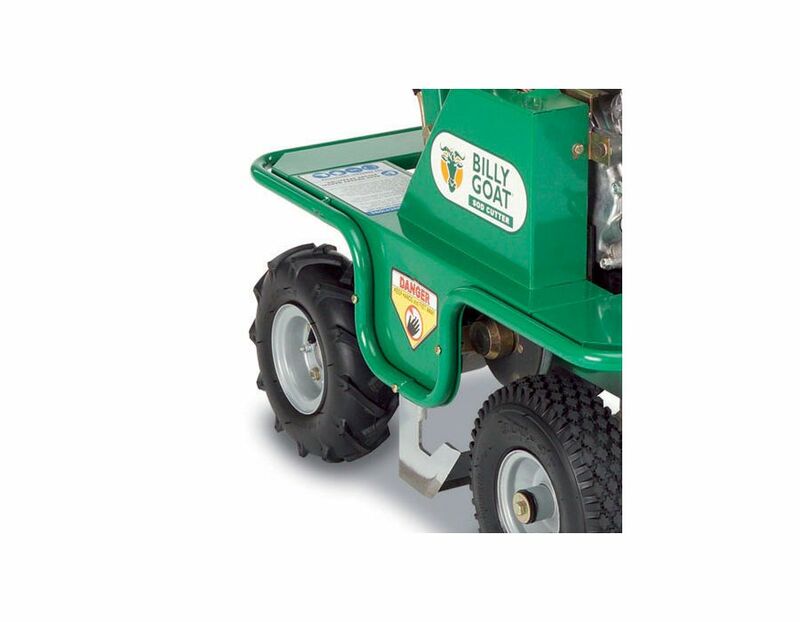 Balanced 4 Point Footprint - For added stability & ease of use versus 3 point styles. 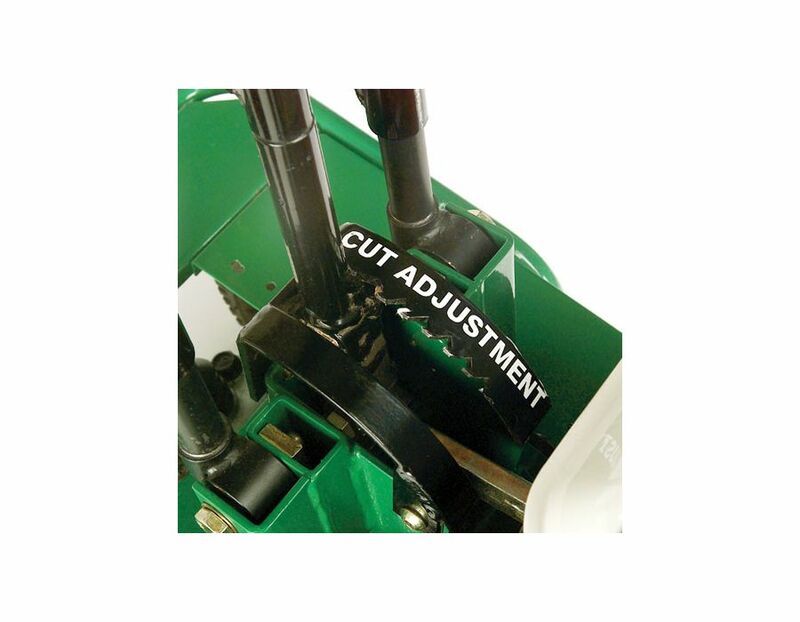 Cutting Depth - Max of 1.38"
The Billygoat Sod Cutter SC121H with 12” Width is available at Kooy Brothers Equipment Ltd. located at 1919 Wilson Avenue in Toronto, Ontario.